With multiple glass and frame options, you can customize the perfect windows for your home. 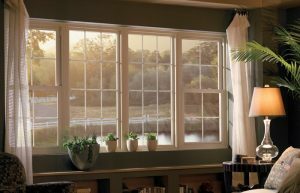 Your windows are a prominent feature of your home, and they can also have an impact on your pocketbook if they are drafty, worn-down, or simply outdated. If your windows are detracting from the overall appearance and comfort of your home, it’s time for an update, and Tight Line Exteriors offers the classic, high-quality Atlanta double-hung windows you’ve been looking for! As your trusted resource for durable and affordable window installations, we’ve earned countless positive reviews from satisfied customers over the years. With our status as an A+ rated member of the Better Business Bureau and a “New Contractor Member of the Year” award winner from Certified Contractors, you can trust that you’re in the best of hands when you hire us for your double-hung window replacement project. At Tight Line Exteriors, we’re committed to outstanding products and installations, but customer service is our top priority. Throughout each step of the window replacement process, we’ll work with you to design the ideal windows for your home and to answer your questions along the way. You shouldn’t have to break the bank in order to get beautiful replacement windows, and our team is standing by to discuss your needs for a double-hung window replacement! Just give us a call or fill out our online form to request your free, no-obligation estimate!